Some of my favorite shots are doorways or entryways that just have that special 'something'. I love this one. 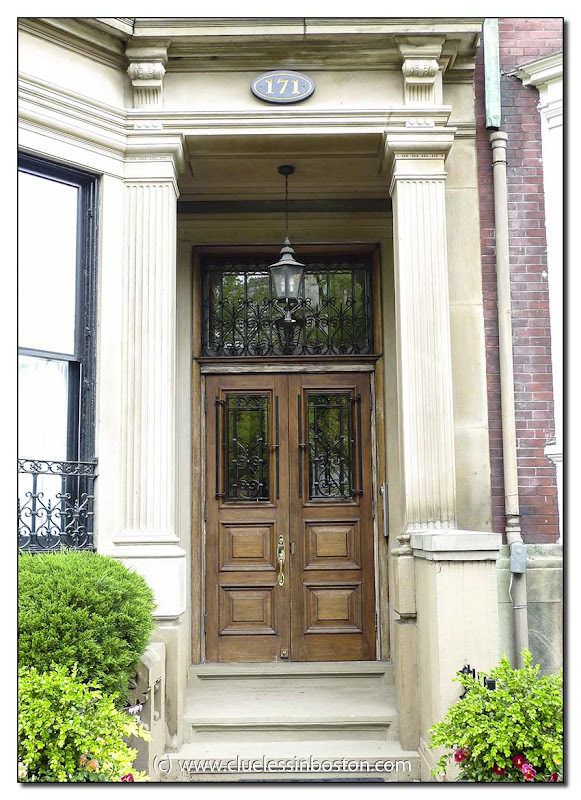 Paneled doors, textured glass, wrought iron, fluted columns -- very classy. I had to go back and look to see the waterspout. No biggie. By Commonwealth Ave. standards, this one is probably modest. Fun seeing it, though.